making travel in the South Downs easier than ever before. 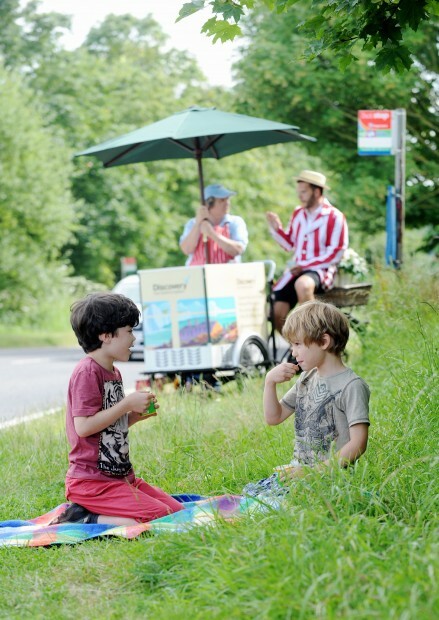 To celebrate the launch, on 5th July for one day only South Downs residents can ‘discover’ a summer ice cream surprise at selected locations across the South Downs and beyond. Launching in advance of the summer holidays, the Discovery ticket allows unlimited, one-day travel across the region for £12.50 for a family and the ticket is timely as new local research shows that whilst many South Downs residents are keen to travel by bus – 56% think it’s difficult to visit favourite places and 34% worry about the cost of getting there. However, the research showed that top days out in the South Downs include Arundel Castle, Petworth House and Park and Weald and Downland Museum, all of which are accessible via the new Discovery bus ticket. Another incentive to explore the region this summer is a new limited edition ice cream flavour, voted for by South Downs residents and created by local Downsview Farmhouse, which will launch to coincide with the ticket roll out. As a picnic in the fresh air proved a favourite South Downs activity for 71% of residents, many chose the ‘Cream Tea’ flavoured ice cream, containing strawberries, clotted cream and poppy seeds, as the taste that conjured up their experiences of the South Downs. For one day only, on Saturday 5th July, this exclusive ice cream flavour will be available for £2 per cup at selected locations across the South Downs including Arundel Castle (2pm-5pm), Queen Elizabeth Country Park (10am-1pm), Lewes Castle (10am-1pm) and Seven Sisters Sheep Centre (2pm-5pm). Sarah from Downsview Farmhouse says “We are passionate about helping people enjoy all that is special about the region and hope that a combination of the new Discovery ticket and a bespoke ice cream flavour becomes the recipe for a perfect summer day out’. This Saturday 5 July there are even more reasons try the Discovery ticket. Anyone who travels to one of the selected four locations via bus will receive a free Cream Tea ice cream. Ice creams will be sold at selected times at Arundel Castle in West Sussex, Queen Elizabeth Country Park in Hampshire and Lewes Castle and Seven Sisters Sheep Centre in East Sussex only. To make it even easier for families to Discover the South Downs National Park on a budget the SDNPA is working with the most popular attractions in the area to offer 2-4-1 entry to reward those who leave the car at home and arrive by bus including Petworth House and Park, Weald and Downland Museum and Seven Sisters Sheep Centre. 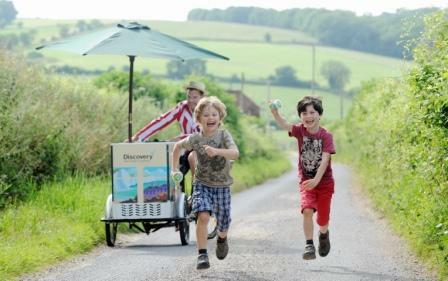 South Downs residents can share their picnic experience on social media with #DiscoveryTicket. For further information visit www.discoveryticket.co.uk or follow @sdnpa on Twitter for updates. This entry was posted in Children & nature, Green stats, facts & news, Seasonal celebrations. Bookmark the permalink.